Jeremy's tips & tricks to make your Football Manager life easier. An in-depth look at FM tips & tricks you'd want to make a habit of. Since 1992 and the famous Championship Manager, tens of thousands of players tear themselves to pieces to find the best formation and go on a long journey all around the world to discover the best wonderkids. 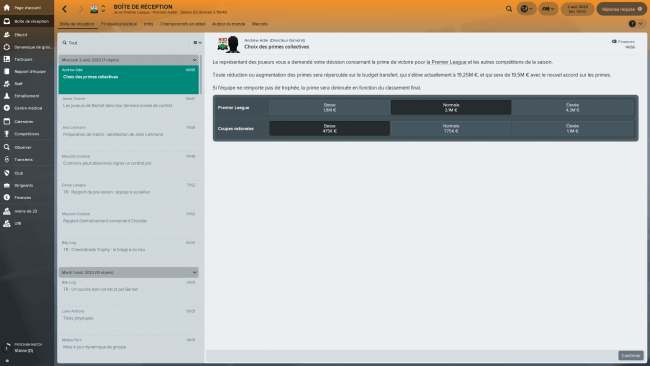 With Football Manager, one makes a clear choice : postpone the incompressible tiredness to late at night and leave aside any personal and social life. Even professional football clubs have started to use it, not to have fun but to make some progress. The huge database FM and the high precision its ratings provide arose the analysts’ curiosity. It is no surprise given the incredible amount of work the game’s developers put in every year to provide the best gaming experience possible. Genuine scouts have been hired with the mission to watch tens of games and compile reports on hundreds of players. The game has gone from simulation to real life. The clubs are looking for the data in several aspects that go from a player’s development, his key features and also his salary. From then on, it is easy to understand why nothing can be left to chance for Miles Jacobson and his crew. 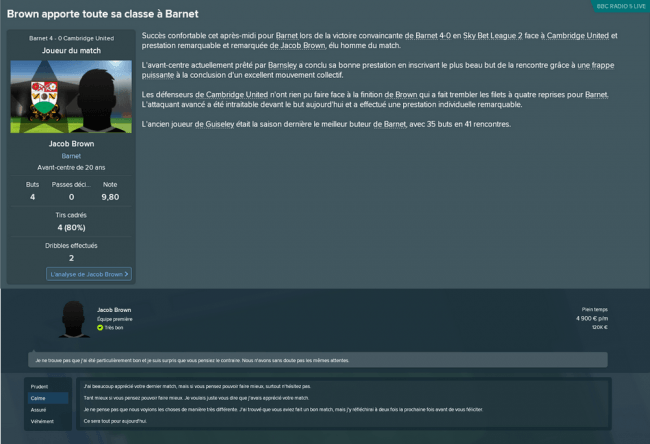 Football Manager is no longer just a mere video game. Every year comes with its lot of novelty, of new features, more or less numerous, more or less pertinent. But our habits remain rather similar year in year out. We all have our little tricks, our methods to take the pot with our proper functioning. In fact, there’s a myriad of « tips and tricks » and some appear to be relatively unknown. 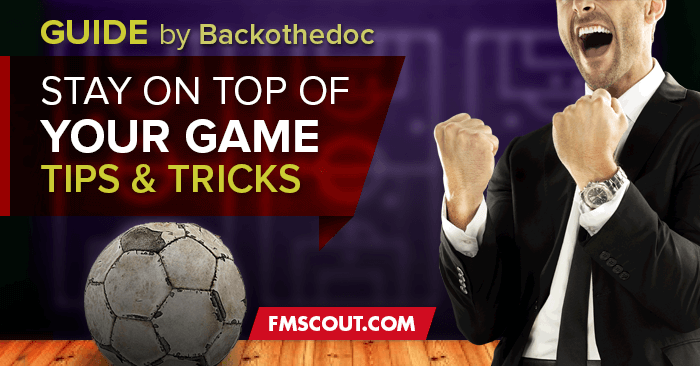 The objective of this piece is to provide a list as comprehensive as possible of FM’s « tips and tricks ». Please feel free to give us yours ! How to make the game more attractive, make your life easier and be more efficient in every aspect. 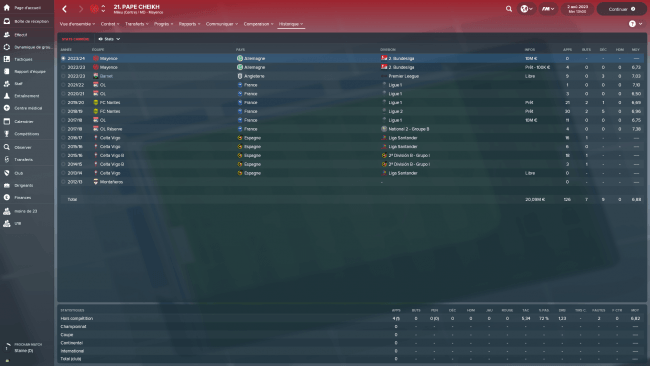 When you start your first save on Football Manager, it all looks a little complicated to understand : there are loads of sections and figures everywhere, icons you are not really familiar with. But once you have really apprehended the game well, it becomes a lot easier and you play with much more fluidity. With time, we get to know the keyboard shortcuts and to customize them, the display too. It is always a lot better to not have to take three hours to find anything, isn’t it ? How enjoyable is it to have a refined display ? Beyond the attractive and aesthetic aspects, the efficiency comes into account. 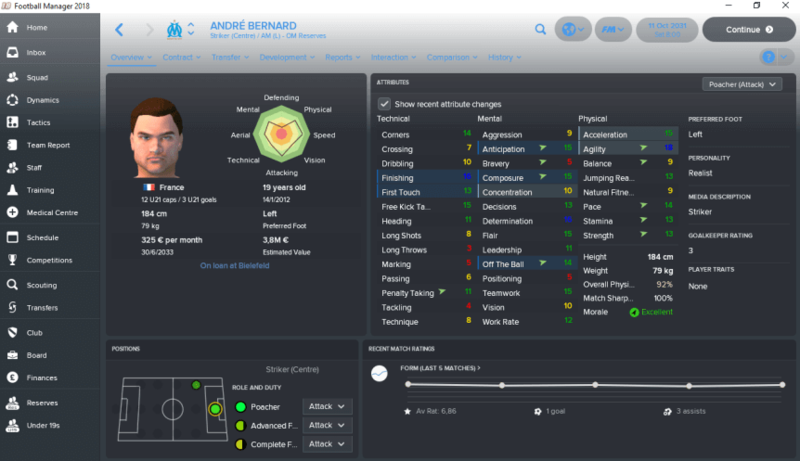 It may seem paradoxical but to be a good (football) manager, you’ve got to master your computer. Action-reaction mode. Here is a first list of suggestions to give you a few more ideas on how to boost your results… Just relax. The use of the "radar"
The « radar » (the octagon) is to some extent the player’s ID card. To find it, you have to go on the player’s page, then « overview » and « attributes ». The second solution is to show it on the player’s main page but then you won’t be able to see the attributes at the same time. It is very useful to quickly profile a player and understand what his strengths and weaknesses are, beyond the raw data (the notation, the reports you receive from your scouts etc.). However, you musn’t just rely on that to recruit players, it doesn’t always show unacceptable shortcomings because it is an average mark (for instance, a central defender can have an average mark of 15 for « defending » but only 10 for « tackling »). That’s not great. To conclude, the radar is very handy to make a first selection between several players but on the other hand, it may be costly to only base your analysis on this to buy a player. You can also be more precise by choosing a specific position to highlight the corresponding ratings. That way, you can figure out whether the player could fit in your tactical system or not. In Football Manager, you can more or less customize everything. The more you have columns, the lower the chances are you will miss something important. Don’t be overzealous : it can quickly become a huge mess. But to have a broader view of each menu, and even if it’s a bit constraining to do at first, you’ll quickly see how wise it is to do so. The display of the squad screen works for your team but also for the other ones. 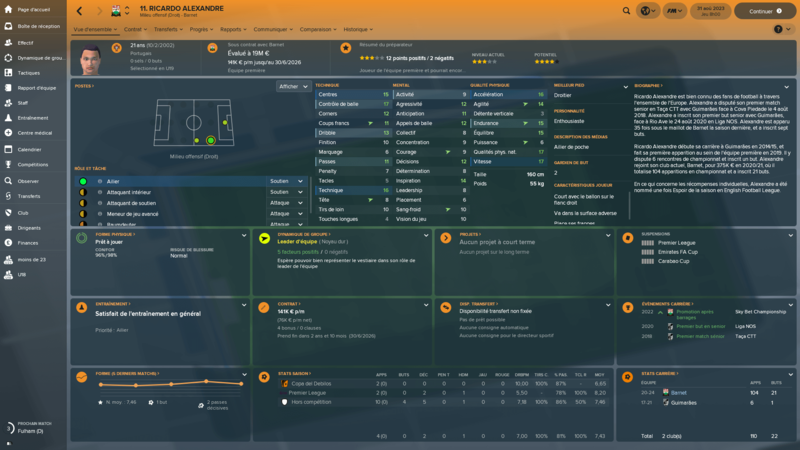 Once is it customized, you can see which players you have already scouted, if they have release clauses, their key characteristics etc. The recruitment screen display. The key columns here are of course the scout’s opinion on the player, his thoughts on the minimal and maximum price he would cost, his wages and perhaps his ability/potential. These two last columns must be used cautiously, but we’ll come back to that a little later. The squad searching display. It can help if you want to quickly see their ratings before checking the profiles one by one. Of course, it all depends on your personal perception of things even though some columns are always handy. Otherwise, you can start with predefined displays, many sites provide some (FMScout included!). 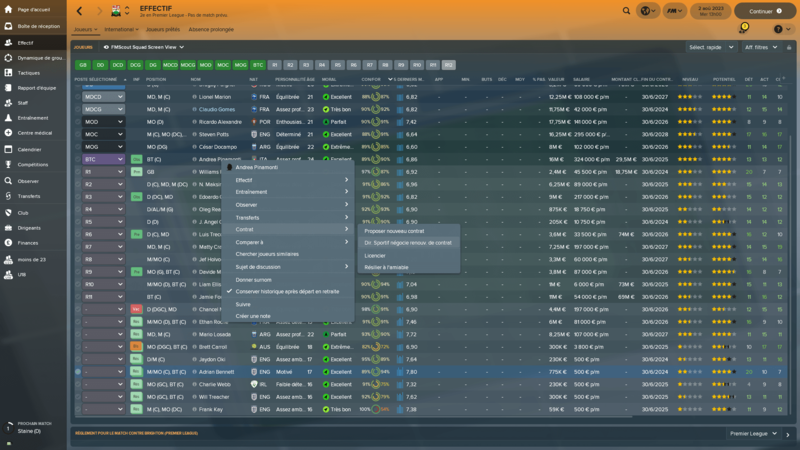 It is possible to modify the colours used in the game to point out the players’ and the staff members’ best attributes. 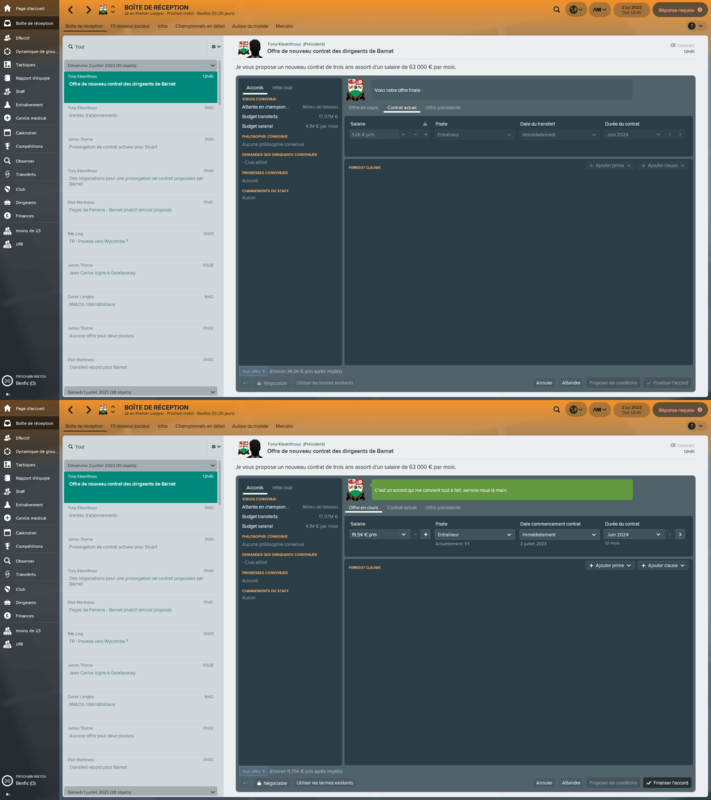 Football Manager does it automatically but in very similar tints and you can barely distinguish them. You have to go in the preferences. From there, you can change the colours and their corresponding thresholds. It all becomes a little more easier to identify the kind of player or staff member you are dealing with at first sight. It is also important to be aware that some colours are of course more aggressive than others, you need to find good harmony between them to make sure your eyes won’t bleed ! How do you transform your club into a superpower ? How do you turn your small business into something much bigger ? 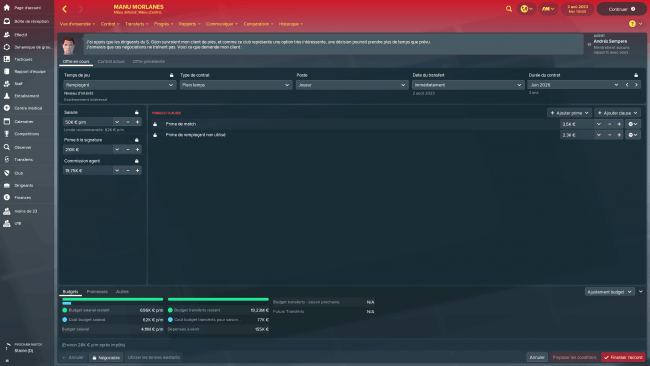 This is a question I’m sure you ask yourself regularly while playing FM : how could I earn more money? It’s even more important when you play with smaller teams, that don’t necessarily have the same income as Premier League giants or super rich owners. There are a few tricks possible to raise your income (or at least limit the losses). And if you believe that money in FM is only useful for the transfer market, I am afraid to tell you that you are totally wrong. For instance, if your club’s balance is negative, chances are that the percentage allocated to the transfer budget when you sell a player will diminish drastically. Also, a bad financial situation often means that anything you ask the board will be automatically refused. It is essential to always remain afloat. In fact, in FM, you have to be stingy even if you are not in your real life. Negotiate everything, negotiate any penny. By idleness, don’t choose the easy route. You should never accept the first wage demands of a staff member when you renew his contract. Even if you have another twenty to do afterwards. FM requires a great deal of patience from which derives mastery. Unless you are playing with Bayern, the two giant Spanish Clubs or the top 6 sides in the Premier League, every penny counts. You can organize international tours in Asia (you can only do so if your club is world class) or without going that far it is still good to spread your influence in a bordering country. Friendly competitions can also pay off in a big way as well as organizing friendly matches at home against big teams. However, there’s no need to organize ten games against very superior teams and therefore lose every single game by a four-goal margin. It’s vital to strike a balance between the money you’ll get on the one hand and the team building process and tactical preparation on the other hand. 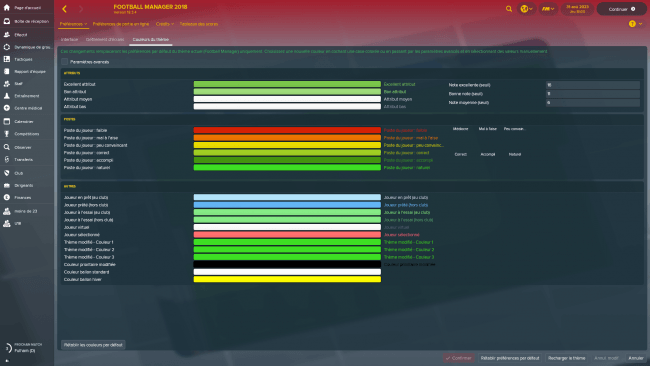 Increasing the agent’s commission enables you to reduce the player’s wage demands. The compensation for that is that you will pay a higher transfer fee. It can be an interesting long-term plan to include contract clauses even if they seem to be completely harebrained. By that I mean you can include a bonus if you win the Champions League, the championship etc. Even though you’ll never win it, that’s not the question. Of course, you must act with caution. Increasing the agent’s commission by X thousand pounds or giving X thousands for a cup victory doesn’t mean you can reduce the salary from 100 to 10. Above all, it’s good to do so when your wage budget is tight (and non-negotiable) and if you feel that you absolutely need to renew or sign the player. Yes. Even you. So first of all, you’re going to reduce your own wage demands. Consequently, the wage bill will decrease. The downside is that you can be more prone to losing your job because it won’t cost as much. But since you’re a great manager, there’s no risk, right ? Never renew your contract for more than a year : you’ll be able to negotiate the budgets each time in addition to the demands you can make to the board, they are more regularly accepted this way I find. You have full control on this. My advice is to reduce the bonus for the national competitions (the cups). It’s usually not a problem, unlike the bonus for the championship. Players tend to react negatively. Hence, the difference won’t be massive but it’s still a little extra. 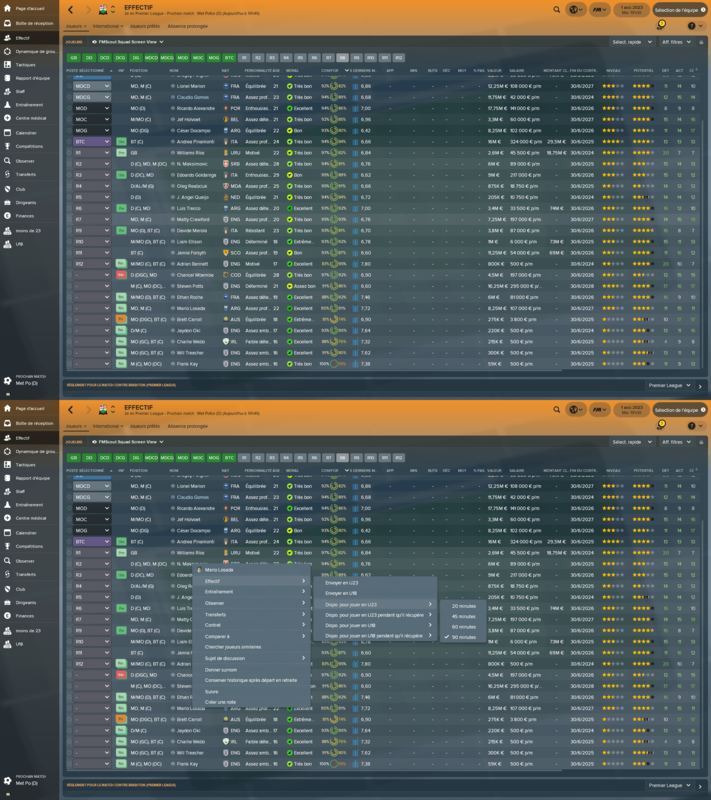 Selling and buying players, players’ various requirements and some other stuff to be on all fronts. 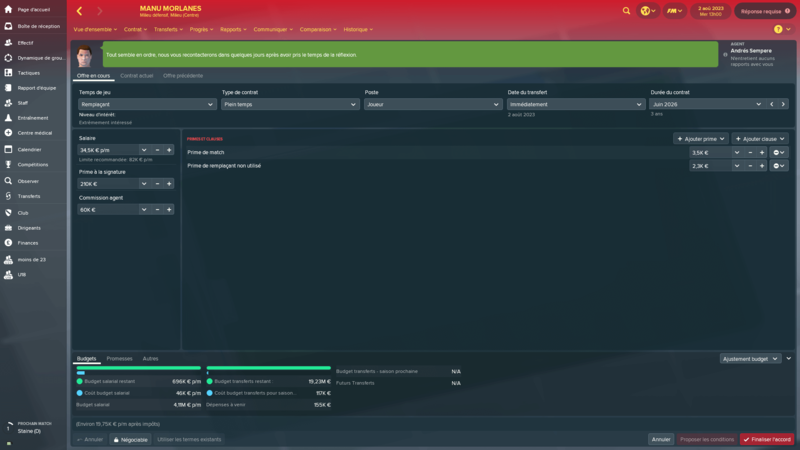 As we’ve previously mentioned it, a distinction must be made : money in FM is not only helpful to buy players hence why we decided to do two separate parts. In the case of a player for who you have tried everything to sell, you can offer him on loan and include a compulsory option to buy. Usually, you can get more money than selling him off for a very low fee (and even that, sometimes, doesn’t even work). Clubs aren’t as reluctant in terms of transfer fees for that type of loan because it will only impact their transfer budget of the next season (N+1). For some odd reason, the transfer budget of the N+1 year is often overestimated by the IA during the N year hence why this method can pay off. Obviously, if the player is in the last year of his contract, the transfer won’t go through at the end of the loan. If the player refuses the terms of the contract the club offers him, the option to buy will no longer be compulsory. 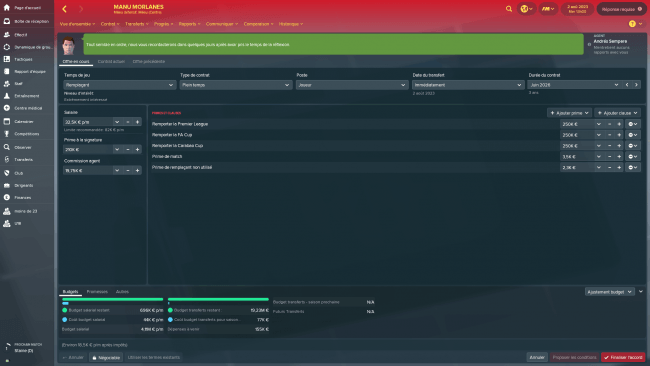 Whether it be on the future amount the player will be sold, the benefits on the sale or bonuses, future competitions won, it is a vital aspect when you sell a player. Especially if you’re planning to build a long-term project and that you are not playing with a top club. 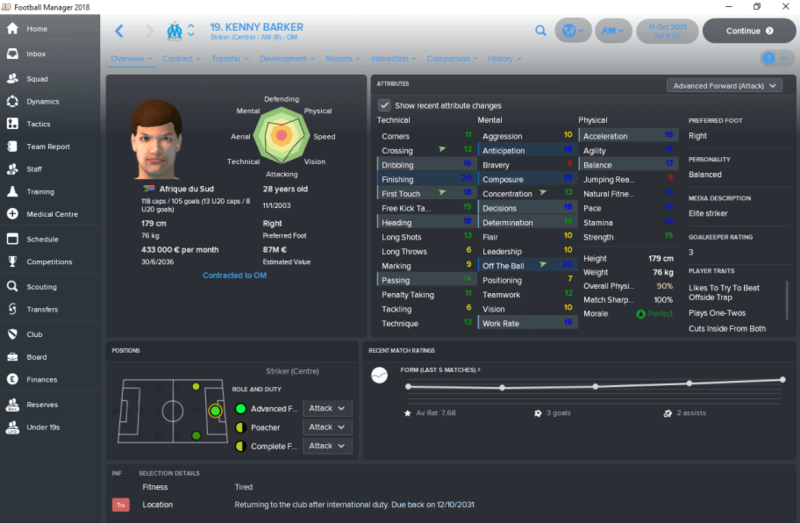 You never know, if your wonderkid is bought by Real Madrid, Manchester City… You may receive a surprise one day. It is not necessary to wait for the 1st of January to make an offer for a player in his final year of contract. It is possible from the end of December. Not for every player (for a reason yet to be explained) but for some you can. It is also possible at the end of June for contracts expiring on January 1 (most notably in North America and Brazil). Debt accumulation can come from monthly instalments used to buy a player. Whenever you can pay cash for a reasonable amount, it’s a lot better, you shouldn’t go too far and exploit it too much. Inevitably, with 20 million pounds, you can buy 3 players instead of 1 if you use instalments, but be aware of the other side of the coin. Most of the time, when you want to renew an unhappy player, you can ask the director of football. The better the latter is, the best. 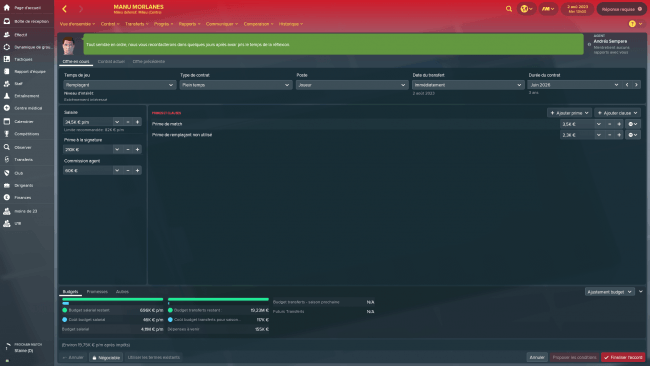 He may include various clauses and bonuses, it may cost a little more money, but at last you’ll keep the player and anyway, you can sell him later if you need to. Do you have a number scouts available to you? Use them! Beyond the scouting reports and recommendations, it is possible to define some priorities and assign your scouts to a mission in particular. Don’t assign one scout to 500 reports… Otherwise you will have to wait for ages to get his report and therefore be completely blocked in you exploration and prospecting. It is important to diversify your requests to gain time (and money) and of course efficiency. To form your opinion on a player, you must not hesitate to use all the information and the tools available. Don’t only look at the scout’s report and the « stars ». Focus on the overall mark (/100) given to the player (it is often a synthesis of various criterias : reliability, potential, character, level etc.). But also look at his ratings (with the radar for instance). This very budget is often replenished by the board between the end of the season and the beginning of the pre-season, it is consequently not necessary to waste some money. If it is entirely consumed and you need to scout a couple of players, increase it to the minimum amount possible before the board makes a move. You must avoid loaning a player out to a club if the status this club wants to give him is not convincing. Otherwise there is a higher risk that he won’t play much and stagnate. In one year, a young player with a big potential who doesn’t play can lose a lot of his ability and harm his future. You have to be rational and decide whether it is better to loan him or keep him with your U23 team especially if you have the possibility to use him in some games with the first team. This is a mistake we all tend to make. Do not wait for the last days of December to renew a young prospect if he is out of contract at the end of the season, it is very risky : the negotiations are often long and even if the player agrees to the terms, he can take several weeks to officially sign his new contract. It can therefore be dramatic : your best regen can leave for absolutely nothing at the end of the season… Especially if a bigger club Barcelona are keen to sign him. In Europe, it is forbidden to offer a long-term contract to a player under 18. That is why you can’t sign a regen player for more than 2 or 3 years. To counter this restriction, there is one clause you can insert to extend the contract of the player (limited to three years). When the players turns 18, you will be able to activate it automatically. The other advantage of this method is that the player will have a very low salary until he is 21. 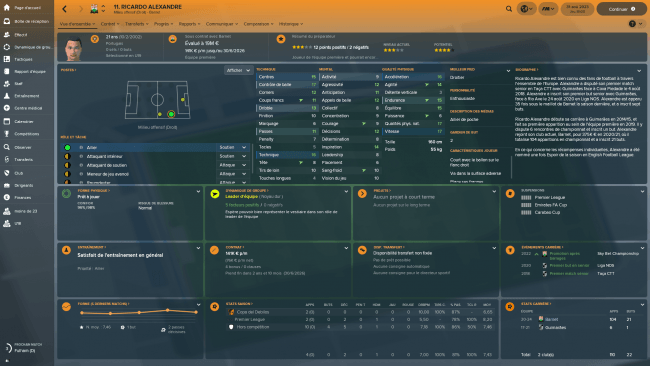 Part four : the "Odds and Ends"
This is the ultimate chapter of our series of « tricks and tips » for Football Manager 2018. Yes, I know, it’s long and boring, especially at first. But you definitely have to take the time to do it. It covers a large range of things, going from the choice of the players who will take them but also how you are going to take them. You create decent moves between the players and the ratings of the players can help. At least, you must do the minimum : the best player with his head must be your target man. Once you understand how it works, it really is fun and very efficient ! I don’t think there is one universal method and everyone has its own. But here is the one we want to propose (which has proved to be very decent) : start the pre-season with relatively high-intensity trainings (normal to high) focusing on the fitness. I often leave that for two weeks and don’t organize any games for the first week or two. Then, lighten the training sessions a little (normal or low). I work in cycles : so the first and second week you focus on physical attributes, organize a game at the end of the second week against a very weak team. The idea is to get the players back on the pitch and grab an easy win. Then, move on to the tactical preparation until the awareness is not at its peak (or close to it). I would advise to ask for a new one whenever it’s possible and send players there. It is important to create a network to develop your own club. It can be handy for work permits or just to make sure a player has game time. Even though FM mentions the fact that the club has no obligation to use your player, if you send your best young players – who are not good enough for your team, they will play. It’s great if you want to loan a player but can’t find a club good enough. Always engage with them when you are on a good strike of results. It is an additional reason for them to accept your request, especially if they are usually quite reluctant. On the contrary, try to not have to ask for something when you have not won in five games for example. We usually avoid using them because they are seen like gratuitous constraints. However, some can be very judicious with regards to your style of play. For instance, if you have the following philosophy : « Sign a large number of youngsters who will play a role in the first team », the board will always accept to improve youth recruitment and the academy (provided your finances are good). You definitely have to monitor the troops’ morale, especially when you struggle to win a game and that nothing is going right. The atmosphere will deteriorate and you will be trapped in a vicious circle. If you congratulate the players for a secondary motive, their behavior for instance, it can help. First of all because they will never contest it unlike their form or progress. Be patient and congratulate them one by one, at least the eleven starters, the 18 players if possible. Even if it’s minimal, it will be beneficial. When it comes to the general meeting with all your players, do not wait to be in a « crisis » to convoke them. Then again, you have to be bold whether you have something positive or negative to say. Never, ever congratulate a player after a loss (or a draw against a weaker team). There’s a great chance that he will react badly. Overtime, you can identify the « problematic cases », the players who always react negatively. The nervous ones, the temperamental ones, the starlets. I strongly advise you to just avoid talking to them. Organize some easy friendly games, the players will understand the tactics, build good relationships between them etc. Big teams are good for your wallet, the smaller ones for the atmosphere… You’ve got to balance that. 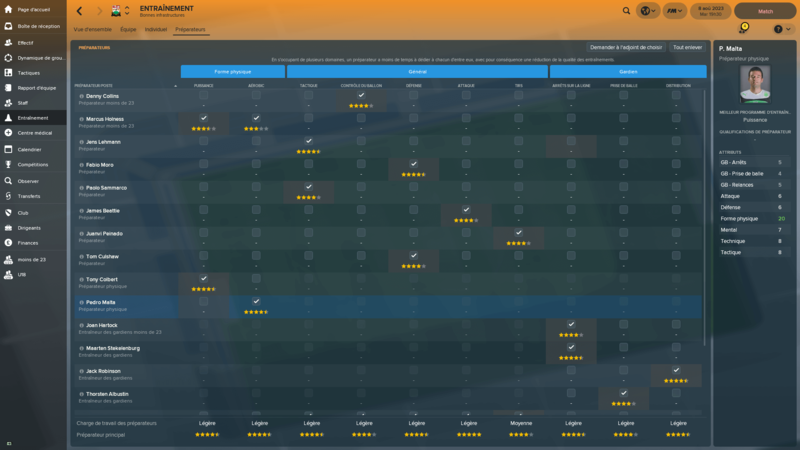 This is something I have only been doing since FM18. Normally, your coaching staff, the facilities etc. are a lot better for the first team than the U23/U18. The point is to promote your best young players with the senior players and « authorize » them to play with the U23. First of all, you have to understand that the priority is the ratings, not the reputation, which is completely useless in reality. An unknown lad can be a lot better than a worldwide specialist. The whole point is to identify the 5 star coaches. Unfortunately, there aren’t too many… And they usually are in top clubs. However, you can still build a decent team of coaches to help you. A method exists and I’d like to thank @FMFutbolManager heaps for his outstanding work. On his website, There’s Only One Ball, you can find a calculator. When you are looking for a coach, you have three key attributes : determination, level of discipline and motivating (DDM). Handcrafted in Symi, Hellas. Page created in 0.556 seconds.